Please bear in mind that the Inhouse League is still in beta (this isn’t it’s final form :)) which means not all features are present and you may run into some bugs. Currently the Inhouse League works best on Google Chrome, although we’re working hard to optimize it for all commonly used browsers. Some players have noted that the sign-up process for the Inhouse League is a little complicated, however all the steps are necessary - logging in via Steam allows us to reduce smurfing and allows easier log-ins for you, the users. Email registration allows us to send out important announcements as well as letting you know when your vouch application has been reviewed. We’ve had some issues with email before so please make sure to check your spam folder. As for the vouching system - it allows us to control the amount of people joining the Inhouse League as well as filter out any baddies from the very start. 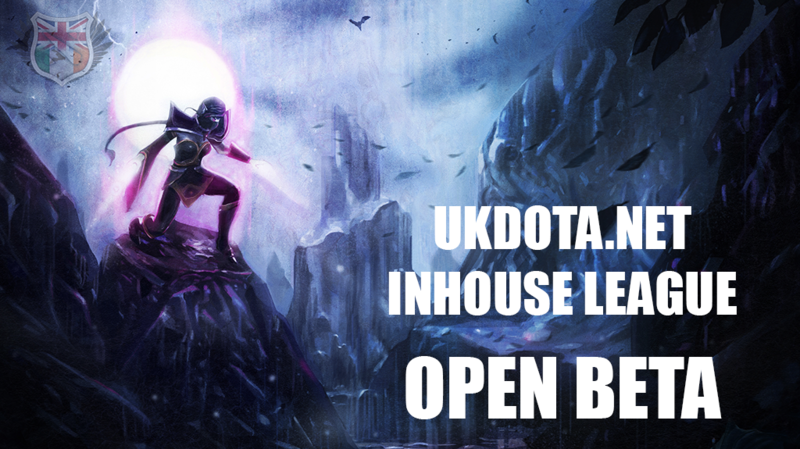 The UKDota.net Inhouse League has quite a bit of history - starting with the initial iteration written in Java by Shoe almost a year and a half ago, when the UK Dota 2 competitive scene and UKDota.net were only taking their first steps. This was followed by a few seasons of yet another IRC-based IHL bot, this time written in Python by Maccy. We decided to build a nice web-based interface built on top of Maccy’s system, however we eventually scrapped that idea and rebuilt the Inhouse League completely. It now runs on Node.js and consists of about 900 lines of CoffeeScript, all written by Ripexz. If you want to play, click the sign in button. If you change your mind - click sign out. Once 10 players have signed in, teams will be shuffled and captains will be selected. A lobby password will be generated and a lobby host will be picked. After you play your game, click Report Game and click whether you won or lost. If someone had to leave early you can vote to cancel the game. Please make sure to report the player who left. If you hover over a player’s name in the sidebar you’ll be able to see their wins, losses and points as well as view their profile or report them. Please make sure to report players if they misbehave, leave games or break any of the rules. Be sensible. All players are required to have a microphone and Teamspeak 3 installed. We have a 250 slot server, provided to us by Multiplay Gameservers. There are channels dedicated to the Inhouse League, please do not occupy them unless you are in an IHL game. Lastly, we’d like to thank all the players who helped us test the Inhouse League in it’s early stages - without them it wouldn’t be where it is today.